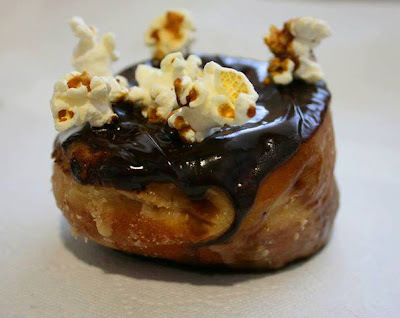 Mojo Monkey Donuts: National Donut Weekend a Success! National Donut Weekend a Success! Last week we test baked new donuts for National Donut Day. We infused some of our much-loved Mojo donuts with beer from our friends at Summit Brewing Company: Beer Batter Yeast Maple Bacon Bar, Beer Batter Ring with Porter Chocolate Glaze and Popcorn and a Chocolate Cake with Porter Beer topped with beer glaze, caramel and popcorn. Got all that? Thanks to everyone who stopped by and sampled our newest varieties. We've got more fun planned in the near future, so make sure to keep your eye on our blog and Facebook for new announcements!